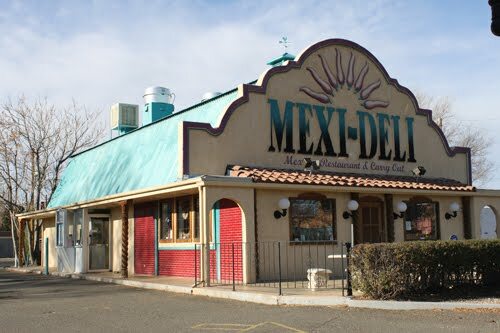 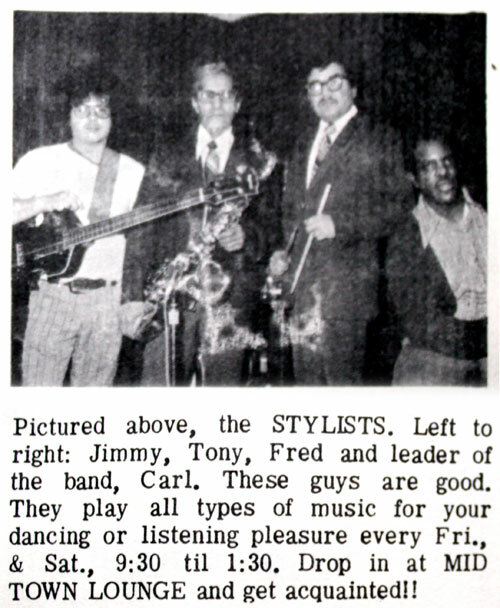 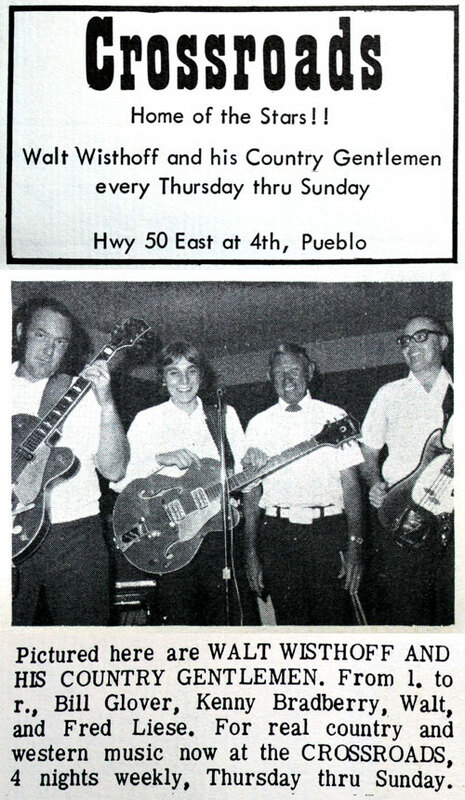 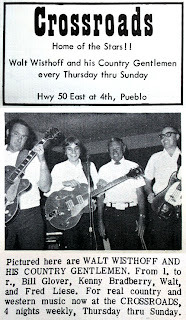 When I moved to Pueblo in 1978, my parents liked to eat at a place called the Burl Tree Lounge, off of Bonforte and Constitution, near our Belmont home. 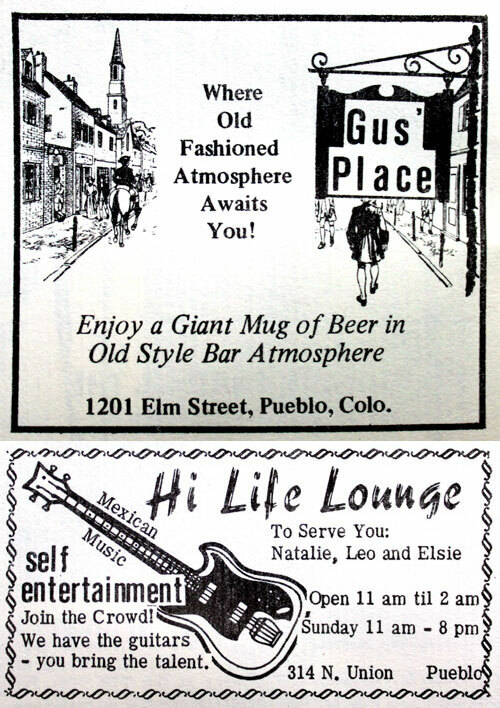 At 17, it was my first taste of nightlife. 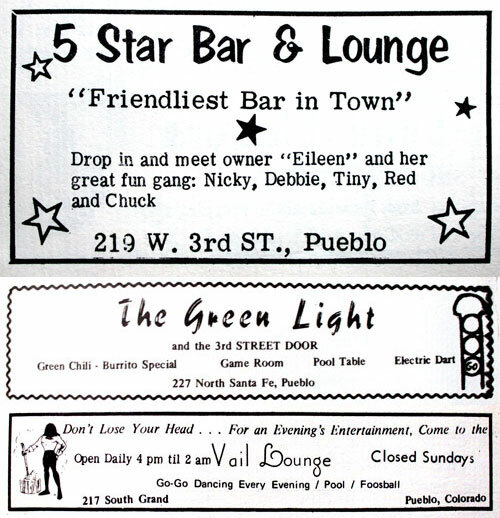 I felt like I had been elevated to "adult status," seeing an honest-to-goodness bar, with real alcohol (not that 3.2 stuff I used to sneak with my East High friends). 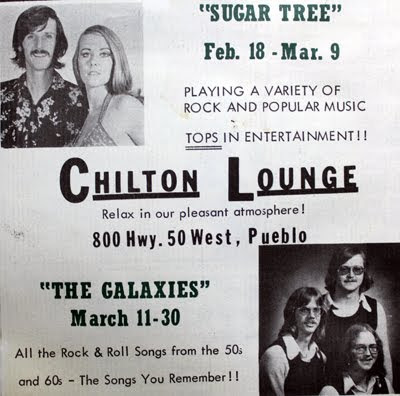 The Burl Tree Lounge is long gone (now a sports bar), but to this day, I can still remember that dingy, dark, smoke-filled joint, those burgers and fries they used to sell, and the cocktail waitresses with the Aqua Net-plastered hairdos who always called me "honey." 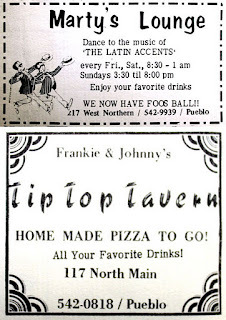 When I was a freshman at USC, my college friends and I would always shake off the Steel City zip code, and head up to The Springs for a night at O'Furry's, Muffins, or Thunder and Buttons (I'm sure there were more, but I've lost a few brain cells since then). 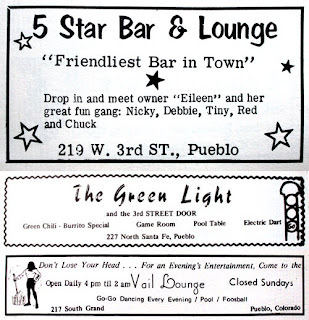 Point is, I never had the opportunity to go "bar hopping" in Pueblo. 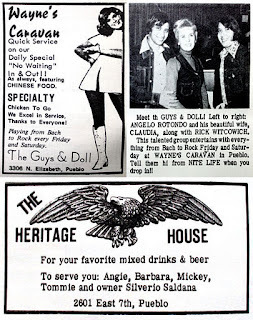 The invaluable Ange Rotondo (The Teardrops and Guys and Doll) sent me a brochure in the mail that was so good, I had to dedicate a blog entry to it. 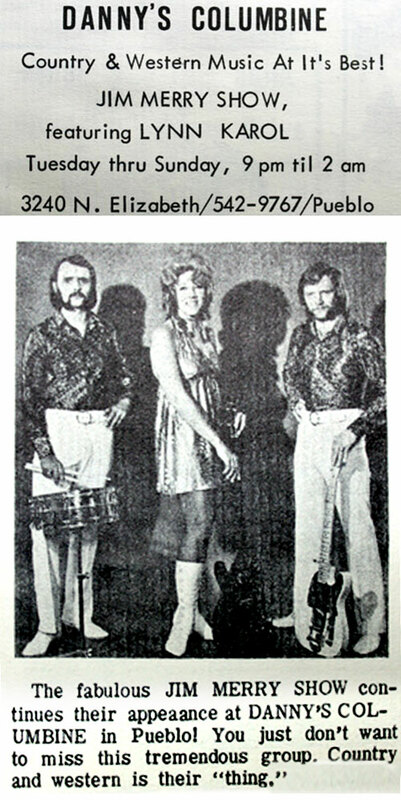 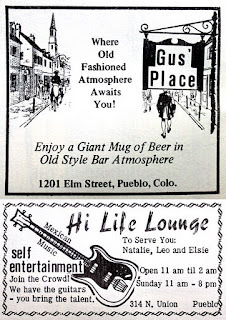 Nite Life was a little ten page, black and white, pamphlet loaded with places to go "after hours" in Pueblo. 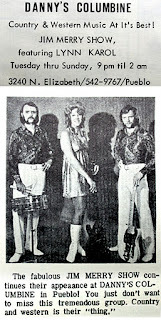 The March 1974 issue (Vol. 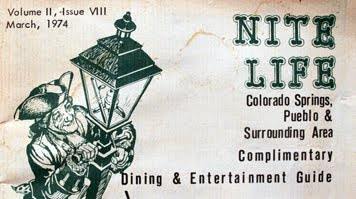 II, Issue VIII) is filled with a time capsule of clubbing options in the Steel City. 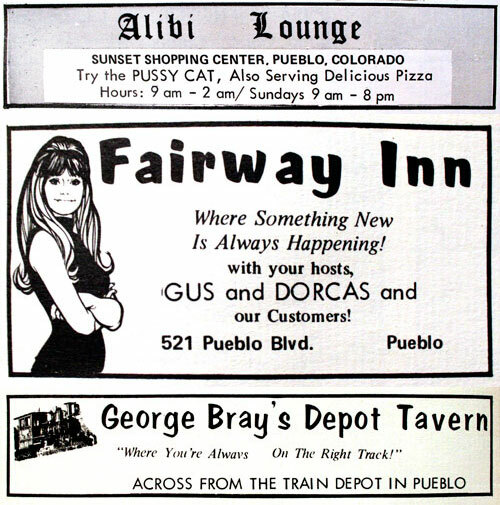 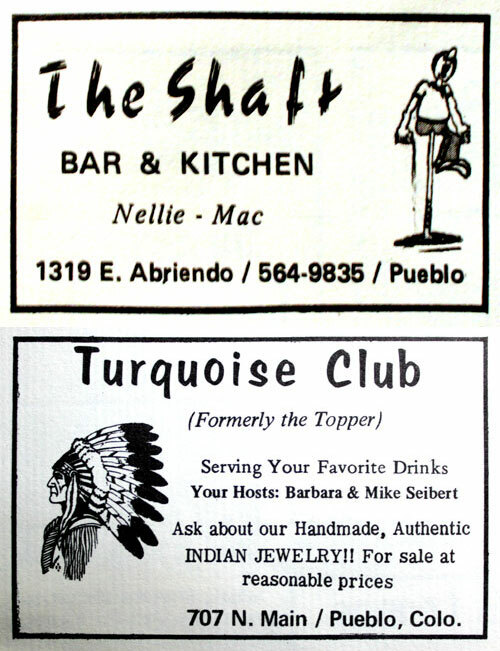 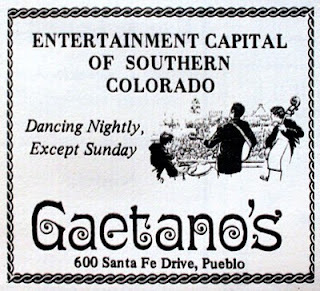 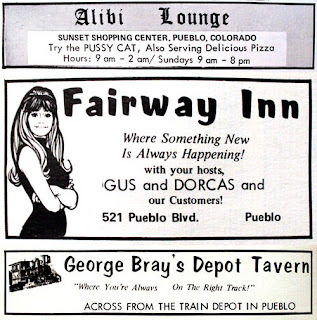 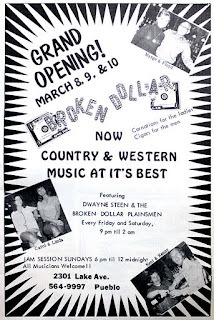 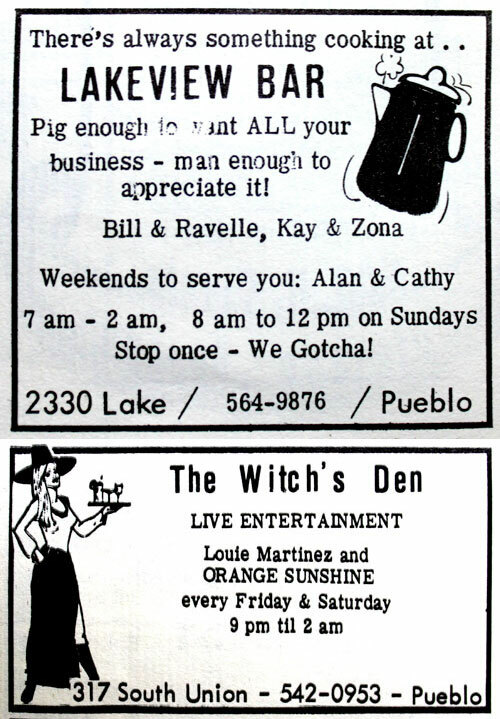 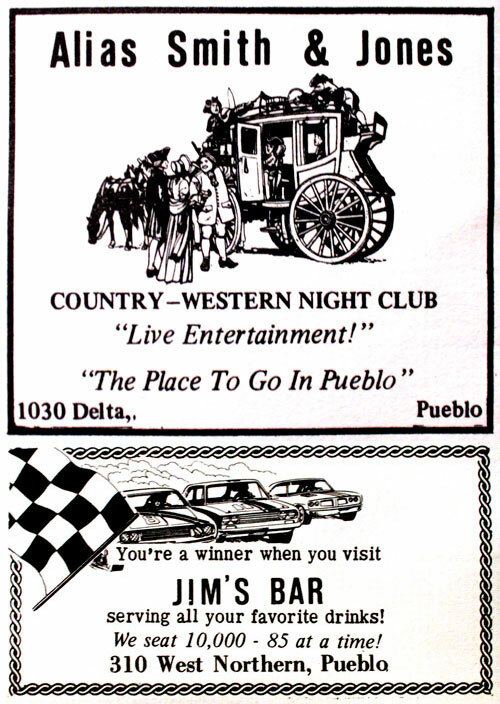 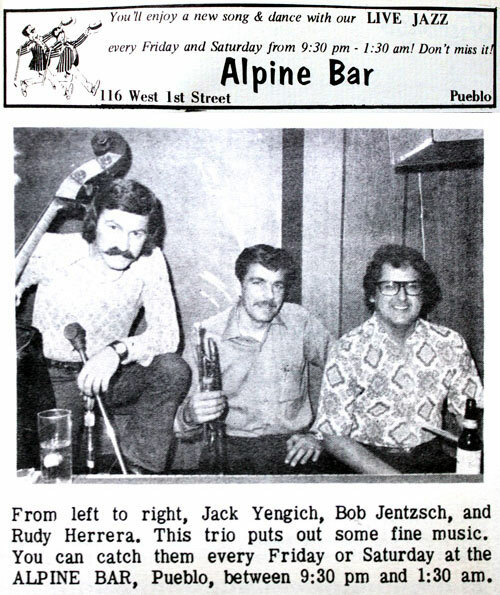 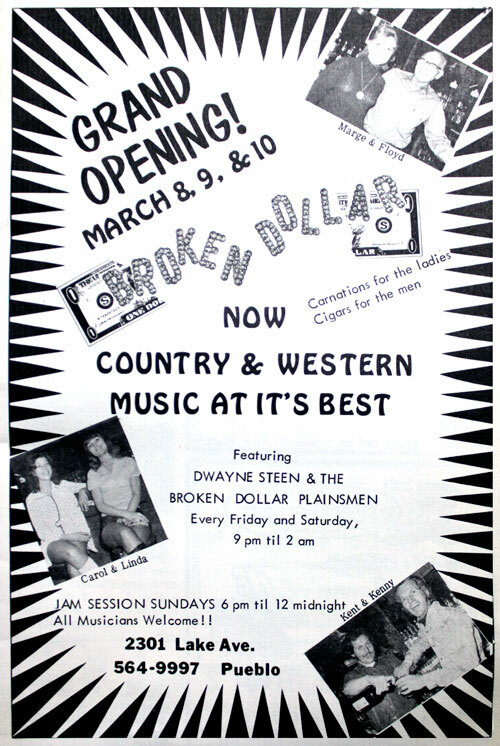 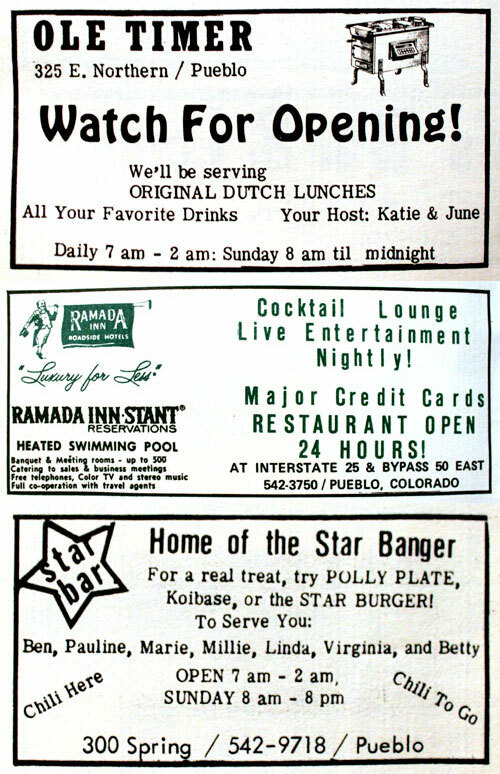 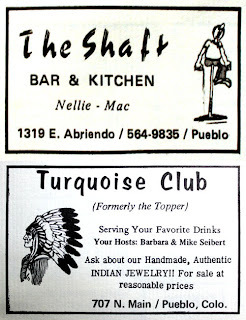 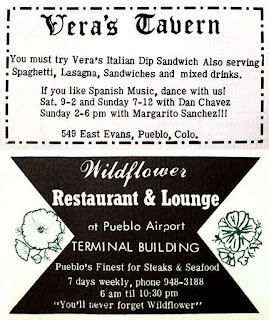 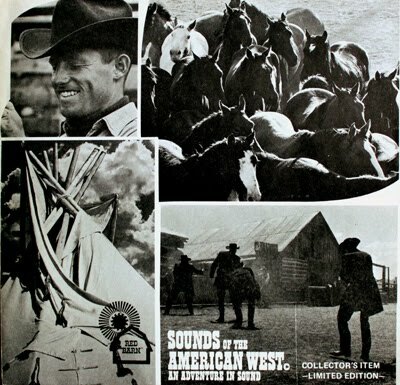 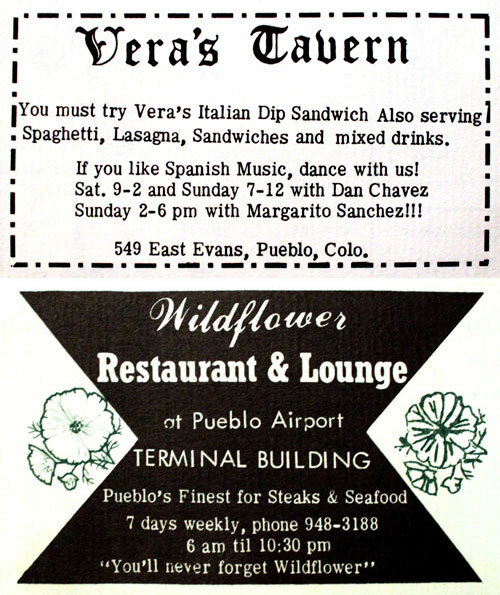 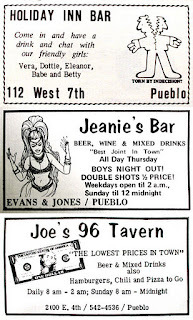 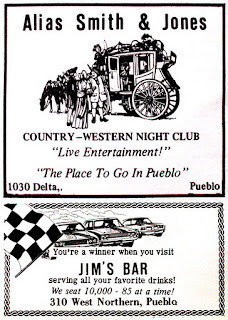 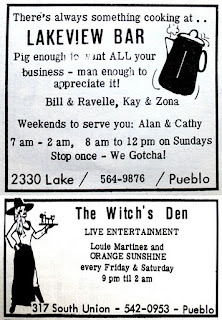 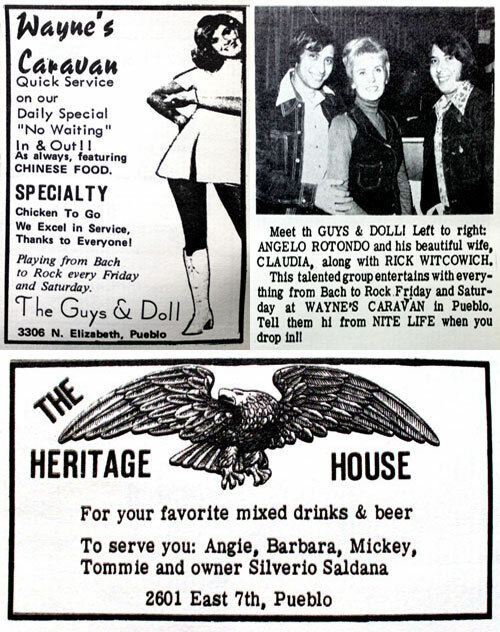 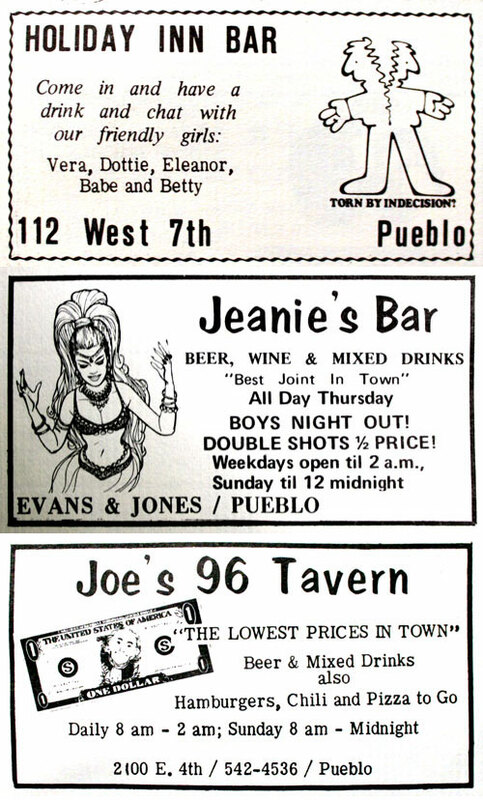 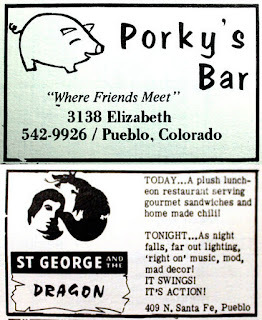 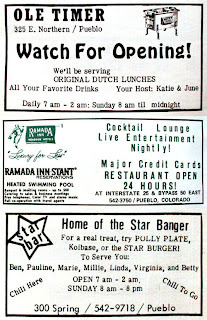 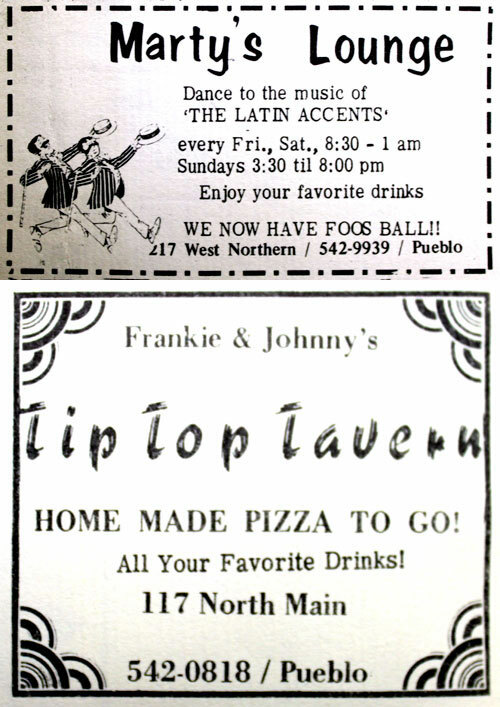 So to recreate the Pueblo lounge scene atmosphere of the era, dig out the polyester, put John Denver's "Sunshine on my Shoulders" (the #1 song in March 1974) on the turntable, turn down the lights, light up a cigarette, throw back a whiskey sour, and check out the advertisements below. 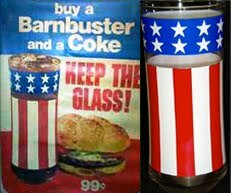 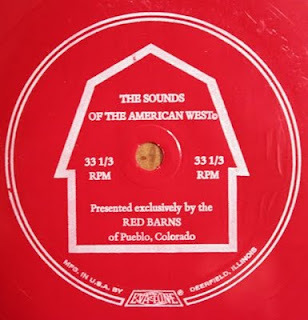 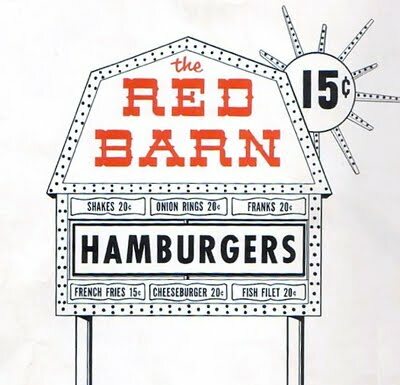 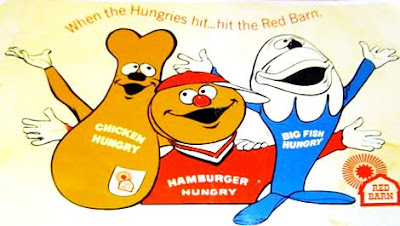 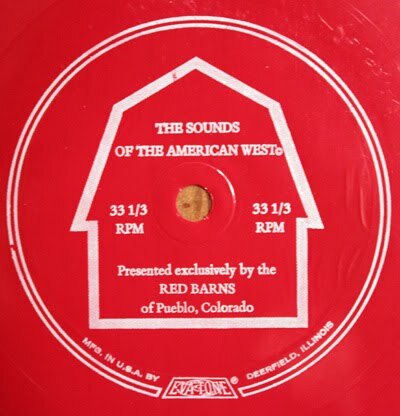 COMING NEXT POST: "When the hungries hit, hit the Red Barn."